Tulare County Child Abuse Prevention Council offers mandated reporter training. Do you or your place of employment need to take mandated reporter training? 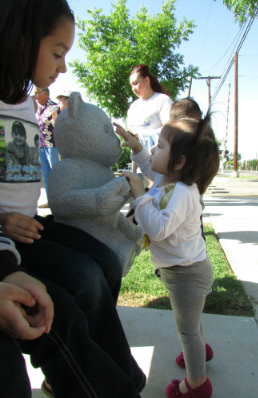 Tulare County Child Abuse Prevention Council provides training. Just contact CAPC online or call for more information at 559-735-0456. Online mandated reporter training is available, so you might ask, “why not just take care of this requirement on the computer?” Truth is, in-person mandated reporter training provides benefits you miss through online training! Glean helpful information from experts that you might not get online. “This is the number one question asked,” says Chiapa. Mandated reporters may think the child will be taken away by Child Protective Services once they report suspected child abuse. Response by Child Welfare Services may not include removal and goes far beyond removal from home. We are not trying to break up families, but help families. There may be situations, such as that of possible neglect, where the family lacks access to adequate food and clothing. CAPC speakers provide schools with information on resources that educators can provide to parents. We discuss issues such as when the age gap between minors warrants reporting to Child Welfare Service. Teen reporting has also been a big question mark for mandated reporters, says Chiapa. Note that mandated reporter training often brings up many questions, so a MAJOR benefit of in-person training? Get questions answered that may not be addressed online! You may have questions that won’t be answered online. Speakers understand issues that include those particular to our region. Likewise, you may have questions based on your own experiences. We are happy to address these questions! Want to schedule a training? Already had training but have questions? Need a Suspected Child Abuse Report form or access to other printouts? Check out our Mandated reporter page! 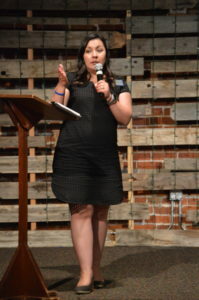 CAPC Welcomes New Director Amanda Guajardo! What type of articles are you looking for?